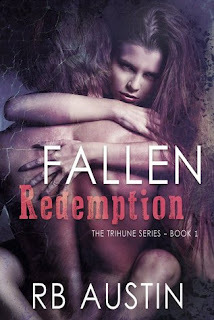 Fallen Redemption, 4 Cranky Stars Lots of romance and lots of action. The story begins with Cade and his back story of tragedy that creates the honorable crusader he is. When he meets Emma, who has just lost her job as an art teacher, she is attacked by an evil group called The Fallen. Cade and Emma are great characters, well rounded and very believable. The twist in the story is a great concept and the rules of good and evil are definitely blurred. The end could have been less of a cliffhanger. I will be looking for the sequel to find out some unanswered questions. Being a romance novel it was a bit predictable, but that only made it more endearing. Loved the use of words only used by the members of the groups. Nice touch. As a SciFi lover, I wanted more about the Fallen and Cade's group, the Behnshma, but still an excellent concept and a book worth reading. With thanks to Lilac Reviews.